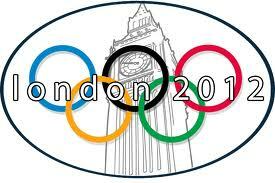 In 2012 the completely broke and in recession country England is hosting the Olympics in London. Aside from this being a plot to further pull on the financial chains that bind the English, many theorists also believe this to be a deliberate set up for an inside job fake terrorist attack on London, specifically Big Ben, perhaps parliament and the actual Olympics. Many things point to this being a strong possibility. For example, the film V for Vendetta shows Big Ben being blown up. The second Cars film poster shows a plane flying towards Big Ben. Remember how 9/11 was exposed in cartoons, films and CD imagery before it happened?! This is the exact same thing. In 2000, the Rug Rats movie showed a plane flying towards the twin towers. The plane was heading for France, so the twin towers in the scene makes no sense. Unless it was for that purpose. Michael Jackson predicted 9/11 on his album cover blood on the dance floor, released four years before 9/11. The film Terminator 2 1991 also predicts 9/11. During the film when the vehicle is approaching a tunnel separated with wall in the middle - it says on the bridge 'caution 9 - 11. Super Marios Bros 1993 - shows the Twin towers ablaze and beginning to collapse. Godzilla 1998 - mentions the WTC bombing. And when a man looks at his watch the time is set to 8:55 in other words, 9/11 is depicted by the hands. Trading places 1983 shows the twin towers - and a clock with the time 8:55 - with 9/11 being depicted by the hands again. These are just some of the examples. It isn't the first time a planned tragic event has been portrayed in the entertainment industry. And this is why I believe the predictions for the Olympics to be accurate. Big Ben is shown as collapsing on the people. And the people in the foreground of the image are wearing the colours of the Olympics. 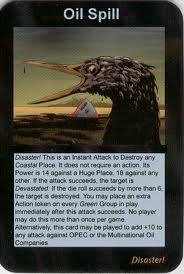 Let us view some of the other disasters predicted in this fascinating card game that seems to have almost vanished, coincidentally of course. 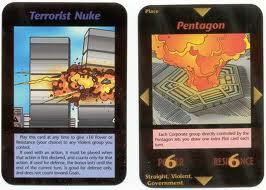 9/11 - The twin towers and the pentagon attacks are shown here. 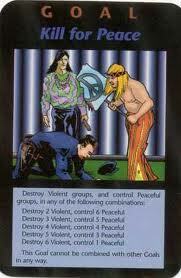 Kill for peace. The American war against Iraq, Libya and Afghanistan were supposedly for peace and freedom. America and England are police states. History has been rewritten many times. To cover up the truth so that the Zionist Jews can prevail. From the Jewish slave trade, to Hitler and the 6 million Jewish death toll lie, history has been rewritten. The gulf oil spill that is currently destroying the sea. Which nobody has been prosecuted for. This is destroying livelihoods and killing anything that needs the sea to survive. And the people responsible have been given new drilling licenses. It has all been covered up, as if it never happened. Here is one that is happening now. 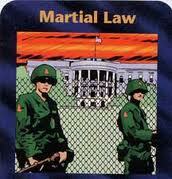 America and England armies are being sent to provoke strong countries with attacks. This will cause world war three. America is on the verge or is already attacking Russia, a country that will retaliate. Many lives will be lost - and all because of the media and establishment lies to justify war. This is what their overall goal is. To greatly reudce the population. 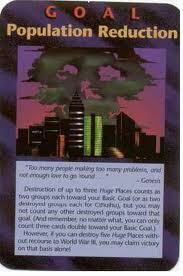 They will leave a few alive to keep as slaves. But not enough to be a risk to them. Japan is now radioactive due to the Israeli Stuxnet virus which knocked out the security systems - which should have prevented a melt down. 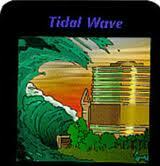 In 2004, the Tsunami disaster killed many. Indonesia suffered the greatest, followed by Sri Lanka, India and Thailand. Do not forget that the US/establishment/Zionists have technology that controls and manipulates the weather. Necrotizing fasciitis - is a flesh eating virus. As is Ebola. The Ebola one is man made, it may have been invented by the CIA or even the British. Now that you have an idea of the predictions, hopefully you will be willing to further research these things for yourself. On the 21st of May, 2011, the Daily Mail wrote an article stating that Al Qaeda were threatening to avenge the death of Osama Bin Laden (former CIA agent). The reason for this is to convince us that terrorists are plotting against us, just like 9/11 and 7/7 - except just like the future attacks on London, Big Ben and the Olympics, 9/11 and 7/7 were inside jobs. For proof that the official 9/11 story is not completely true, please view my video 9/11 truth which is posted on this blog in another article. Also my article entitled BBC 9/11 lies. 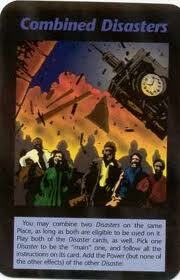 As you saw in the image of the combined attacks card, Big Ben is a future target. And what better a time to attack than the 2012 Olympics in front of so many witnesses - that will become so afraid of terrorism - that they will not question the official story. And may even begin to wonder about 9/11 and 7/7. Plus, what better way to kill off thousands of innocent people?! Do yourself a favour, stay away from London in 2012. Pass this information on. 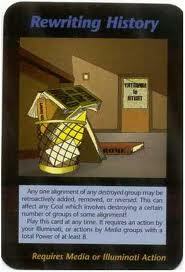 And remember this warning come the dreadful future attack. And the 2012 Olympic logo forms the word "zion". And if we were not wrong ? I'm worried about all this, it's so creepy.. Millions will die so sad, Muslims will be blamed again. Wake up people! Stop being ignorant! I believe the majority hate Muslims because of the media pushing anti Muslim propaganda. Others despise what the Asians have done to their country, taking over large areas and attacking whites for entering etc. Muslims are blamed because they are an easy target - Europe and America are getting fed up of being treated like class citizens in their homeland, while Muslims get preferential treatment. So the media and Zionist ruling class use this to their advantage to stir up more hatred. Muslims are the scapegoat basically. If Muslims were really at fault, they would not be allowed in the country - outnumbering us 20 to 1. Islam may be many things, but it teaches a form of respect and decency that most of the west have long forgotten - mostly due to the stamping out of our culture by the government and media. That should say 'second class citizens'. Hahaha no body blames Muslims. The only reason anyone gets blamed is off of fact. If you were to think that you are being blamed,or any Muslim, you are wrong, unless of course,you yourself are a terrorist. Well if you truly believe that is how the world works, then you are a much bigger fool than you already appear to be. Both 9/11 and 7/7 were blamed on Muslims, to justify the establishments invasion, massacre and theft of Muslim countries and their riches. If Muslims are truly a threat, why keep shipping thousands of them in daily?! Every day people are accused of crimes of acts of disgrace, it does not mean they are always at fault does it?! People often get blamed without any evidence being presented against them. Think before you comment!